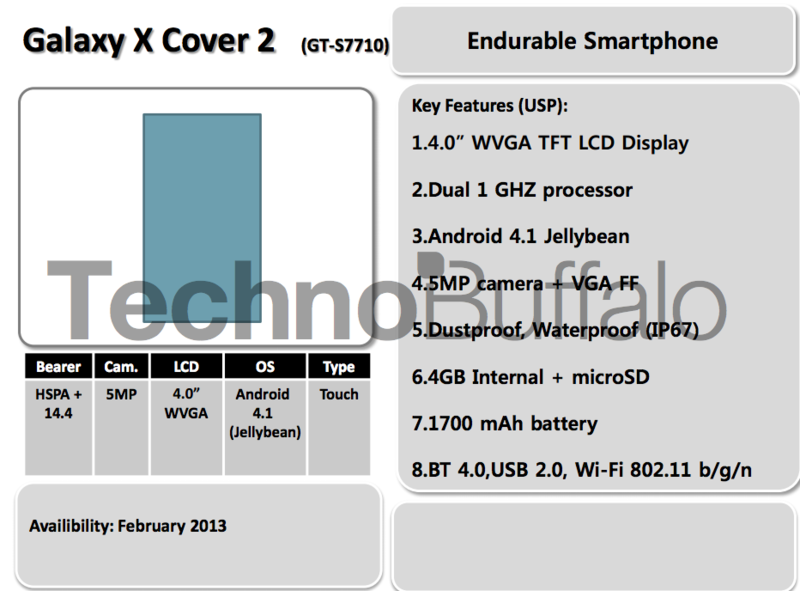 Samsung’s entire first half 2013 roadmap may have just leaked thanks to the folks over at TechnoBuffalo. 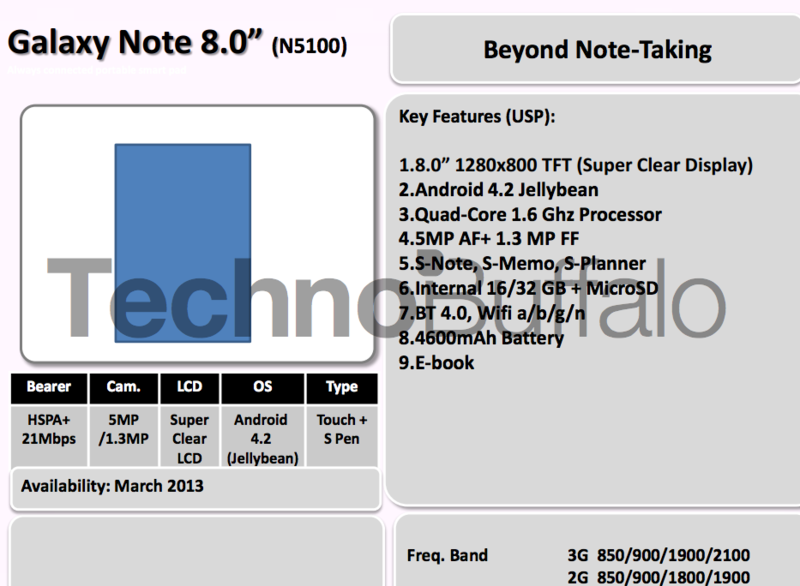 Unfortunately for Android enthusiasts, there isn’t much to get excited about outside of the Galaxy Note 8.0. This roadmap is proof that Samsung is keeping all info on their next flagship phone, likely the Galaxy S4, locked up tight, since most rumors point to it also launching some time in the first half of the year. So how about that Note 8.0? According to these slides, it’ll feature an 8″ 1280×800 TFT LCD display, 1.6GHz quad-core processor, 5MP rear camera, 1.3MP front camera, internal storage of 16/32GB plus microSD support, 4600mAh battery, and HSPA+ and WiFi connectivity. It will also include an S Pen and the various software enhancements that you’ve seen attached to it in devices like the Note 2. This roadmap has it pegged for a March 2013 release. The rest of the roadmap features random devices like the Galaxy X Cover 2, Galaxy Young, Galaxy Pocket Plus, and Ch@t 226, none of which you’ll care about or remember in 6 months time.